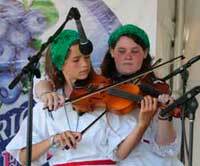 The Richmond Blueberry Fiddle Festival is widely known as an all-day musical event for the whole family. 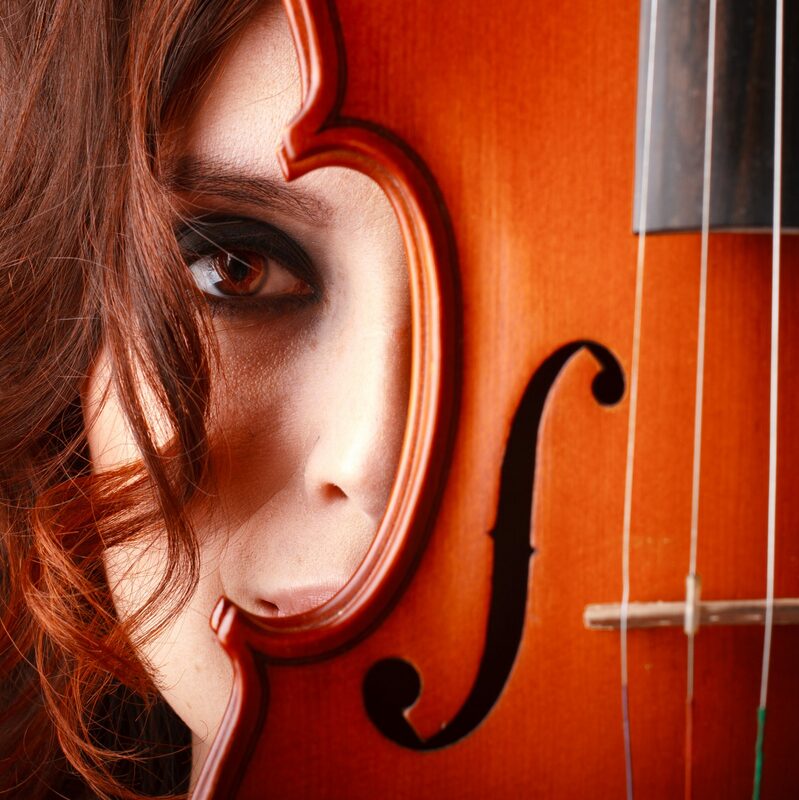 Without our musicians, how much fiddling would there be? Among our most important benefactors, generous musicians from all over New England donate their time to share their old-time, celtic, and bluegrass talents. If you speak with any of our performers, please let them know how much you appreciate their support of Richmond’s annual festival. The Fiddle Contest will provide lots of opportunity for surprise entertainment in addition to our scheduled performers. And there is always plenty of room for “jam” sessions . . . The Homegrown String Band is a “100% Natural Organically Grown” band, homegrown by Georgianne and Rick Jackofsky and their two daughters,Erica and Annalee. This “family that plays together” has been performing around the country, from the National Theatre in Washington, DC, to the Festival of American Music and Crafts in Branson, Missouri, since 1997. During this time they have released four CDs and shared their music with hundreds of concert audiences throughout the US, taking listeners on “a rollicking ride through the sounds of American music.” Inspired by the rural string bands of the early 20th century, this 21st century incarnation of the traditional family band utilizes unique instrumentation including guitar, banjo, fiddle, dulcimer, mandolin, banjo-ukulele, harmonica, jawharp, doumbek, and percussive dance to put their own stamp on a repertoire drawn from the classics of rural American music, including blues, bluegrass, country, and folk. Their original music has been lauded as “heartfelt, original, insightful, and impressive” by major music publications Sing Out!, Dirty Linen, and Grammy nominated author Bill Dahl. Homegrown String Band stage shows have been voted audience favorite at festivals around the country, including the Appalachian Fiddle and Bluegrass Association Bluegrass Festival at Wind Gap, Pennsylvania. We look forward to having them join us as our featured performers. Join Erica at 5:45 (before their second performance) for a knitting circle. Deep Hole Road is a fun string band comprised of two couples: Sue & Phil and Nick & Sharon (Nick has been our esteemed festival emcee for these past few years). Sharon and Sue play the fiddle (and a couple of other instruments), Phil plays the guitar and banjo, and Nick says he plays whatever else is laying around. The gentleman also provide vocals. The foursome have been playing for open mics and benefits in southeastern New Hampshire and are currently working on a CD. The Blueberry Jammers will perform twice during the festival (11:45 & 4:15). The group is composed of the more advanced fiddling elementary and high school students of Immaculate Heart of Mary School (Richmond, NH). IHM is a very small school and all the students from fifth grade through high school learn to play an instrument. Whether they have just started the once-a-week group lessons this year or have been playing for five or six years, these students will sing, dance, and play a variety of old-time American music for your entertainment. For one of the performances, they will join forces with The Future Famous Fiddlers (the elementary school choir – grades 1-4 – and beginning fiddlers). The littlest ones always steal the show! The Well-Tuned Trio is growing into a larger group with the young Smarts joining in. From Fitzwilliam and Troy, they specialize in Irish and old-time music, but, then again, you never know when a little bluegrass or blues will creep in. Guitars, mandolins, tin whistles, fiddle, bodhran, and concertina combined with classic lyrics for a delightful show. The Well-Tuned Trio will perform twice: 10:15 & 2:45. New this year: We welcome New Hampshire Dance Institute’s SWAT Team. Performing two short excerpts from NHDI’s performance “Are We There Yet?”, these spirited, willing, and talented children will be sure to open some eyes!